Greetings! 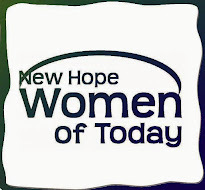 I have been a long-time resident of New Hope and have been a member of New Hope Women of Today since 2003. This year marks my third term on the board and the second as Treasurer. I have a husband, Jim, who is a local firefighter with West Metro Fire District (for over 20 years) and three boys in the Robbinsdale School District – Matt and Ryan, who graduate from Armstrong this year, and Alex, who will be in 7th grade. Born in Indiana and raised in Ohio, my family moved to Minnesota while I was away at college earning a bachelor’s degree in International Business and a master’s degree in Communication from Ball State University in Muncie, Indiana. After graduating, free room and board sounded nice, so I settled in Minnesota and I love it! I have enjoyed getting involved in the community. In addition to Women of Today, I served as an advisory commissioner for the Northwest Hennepin Human Services Council (it is closing down this summer) and have been a member of the West Metro Fire Auxiliary. After 8 years in IT and 14 years in nonprofit workforce development, I combined the two. I am now working at Creating IT Futures as the Executive Director, Minnesota, helping unemployed and underemployed individuals get their first paid role in IT. In my free time, I enjoy hanging out with family and friends – around home, in Vegas, or at the lake “cabin” on the south side of Mille Lacs – and watching her favorite sports team… Go Vikes!